And when DAB++ or DAB2 comes along are we supposed to shell out for yet another radio upgrade? DAB was sold as the future and many people invested a lot of money in equipment. So there are better more efficient compression methods now, so what? In another 10 or 20 years AAC+ will also be outdated. Then what? Its somewhat ironic that my Denon tuner can still pick up all FM and AM broadcasts but increasingly decodes less and less DAB ones. 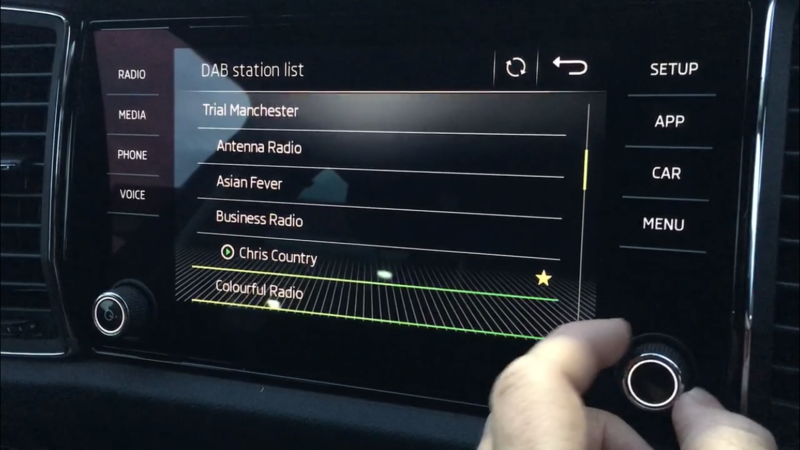 If its DAB functionaly becomes redundant I won’t be upgrading it, I’ll simply stream any stations I can’t get on FM. I live within walking distance of the Kent county border but can’t get Radio Kent on Dab or Freeview. I can get London,Berkshire, Essex, and Surrey radio, but not Kent. I use my TuneIn app and the BBC radio I player all the time to listen in to my station,s of choice. For some reason, BBC Kent on Freeview is only available via the Bluebell Hill, Heathfield & Dover transmitter groups. It should be on channel 719 if you do get your signals from either of these. As to why you can’t get a DAB signal, well that’ll depend on where you live, but I thought that most of Western Kent was covered by either the Benfleet, Bluebell Hill or Wrotham signals (at least at 2kW+ for all sites). There’s even a low-powered site for Tunbridge Wells. Judging by what BBC services you can pick up, you appear to be picking up your TV signals from Crystal Palace so I can only think that you live in an area which has a unique black spot from all the high powered sites. I can get Radio Kent in SE London on DAB. 96.7 should also work as well. I also have an old Denon Tuner, still works well, but you have to move with the times, I have DAB in the car and it is great in fact for some reason it works far better than in the house, I also have 4 radios that are Dab & Dab+ If Dab+ improves reception then i am all for it, i never listen to FM Anymore. I’ve been listening to Radio Caroline in Dab+ on several outlets and it sounds fine. Hopefully in the future they will be allowed a little more power and more transmitters. Since I’ve had DAB in my car I’ve been very pleased with reception and hardly use FM at all now.